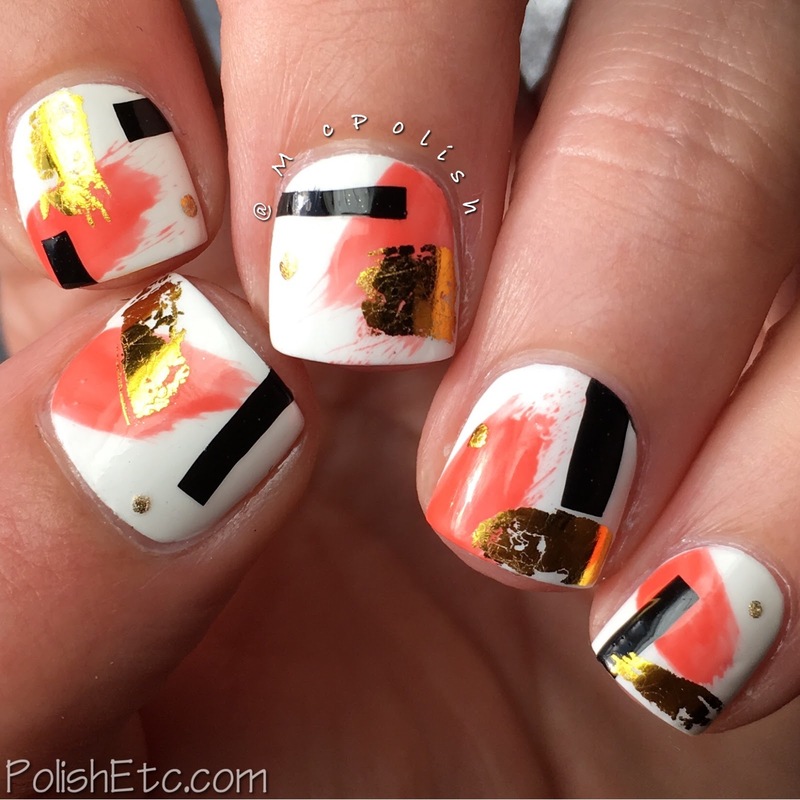 Honor Nails you Love for the #31DC2017Weekly - Polish Etc. It's the last day of the challenge!! I just want to give a huge high five to all of the ladies that was continued with the challenge all of these 31 weeks. I especially want to give a shout out to Lotte from marzipany.blogspot.com. Not only has she done each of the challenges on time and perfectly, she is also hosting me in her home this week while I am on a Euro vacation. She is amazing and if you are not following her by now...what are you waiting for?!? I started with a base of Catrice "Mikly Bay" which is a nice white. Then I swiped on a little bit of Cirque Colors "Sunset Park" which is a beautiful orange coral creme. I made a little polish decal of just plain black using Catrice "Black to the Routes" and cut out small strips of the black to place on the nails. The most fun part was the random stripes and dots of the gold foil. So shiny! 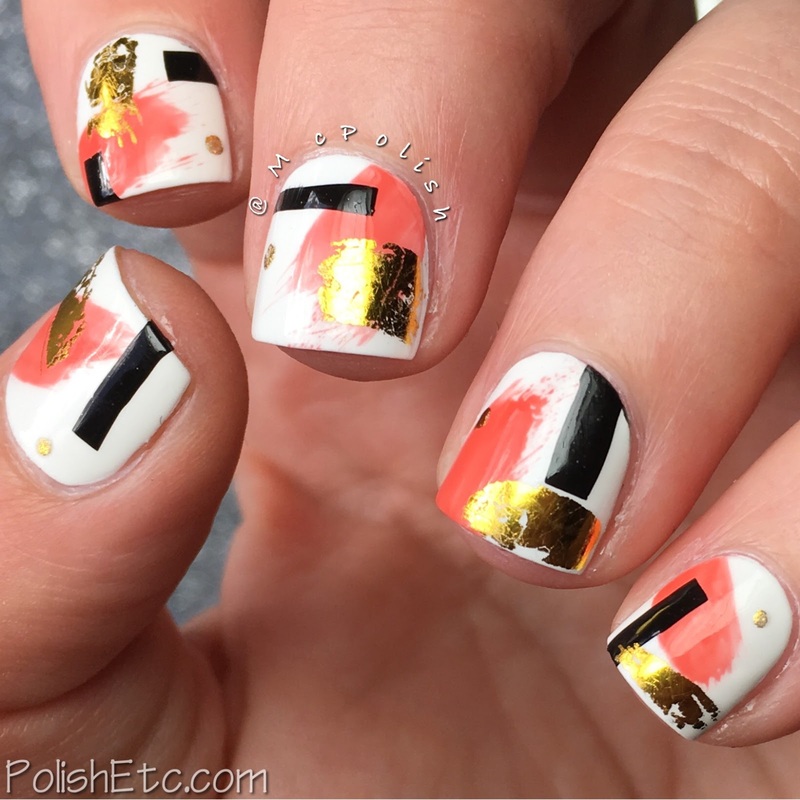 I can't tell you how much I love this mani! I am currently wearing it and will be sad to remove it tomorrow. I will DEFINITELY so a similar manicure in the future. It is super easy and a number of color combos can be used. Do you love it? I really hope you have enjoyed this series. I plan on doing it again next year. 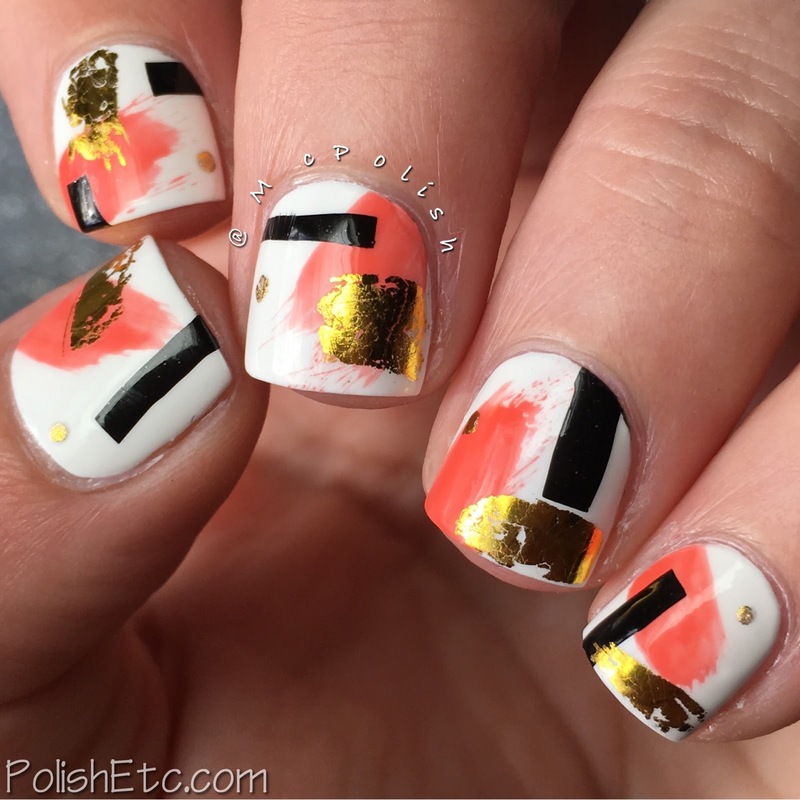 It is a nice way to keep doing nail art and try new techniques. Won't you join me next year for the challenge? We will start in March sometime. If you want to see all of my nail art looks for this year (and last year) you can click on the links at the top of the page. 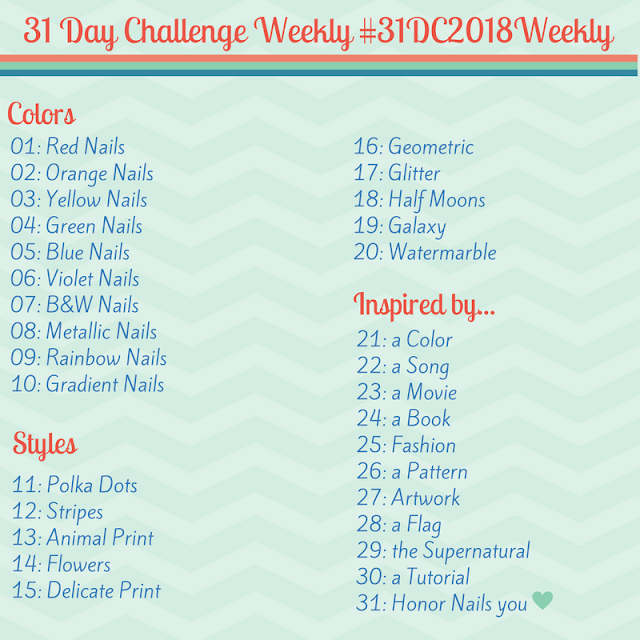 See all of the other ladies that participated in the challenge this year by checking out the tag #31DC2017Weekly tag on Instagram, Facebook and Twitter. I love them! They look great on you too! I love this design too!